A great collection of fly fishing stories by a master story teller. These tales are about life and fishing with a quirky combination of surprise at what happens, and a sly knowing of the inevitable consequences of what is about to happen. They capture all the parts of a wonderful obsession, the successes, the near misses, and the failures. They include stories of fishing trips gone wild, fishing trips gone bad, and laugh out loud situations. Even when the story teller is outsmarted by the wily trout, his passion shines through. He can&#x2019;t help himself. These stories are compelling essays of the fishing condition. The style is quite reminiscent of the old school angling literature many of us grew up reading. These stories harken back to humorous and irreverent tales, set in the 1930s, &#x2019;40s and &#x2019;50s, although updated to the 21st century. There's just not a lot of stuff published these days that is written for the pure enjoyment of reading. These stories fill that niche. 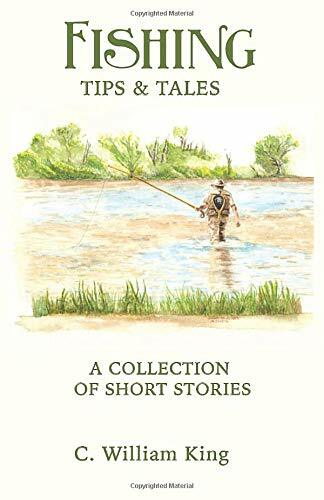 Read just one story and it is the angler that will be hooked.Some stories are poignant and thoughtful, while others are stuffed with surprises, fun and shenanigans. These stories are full of nuances about how the world works, as seen through the eyes of a rabid fly fisherman.